As mentioned earlier, I’ll be attending the 2015 New England / Northeast Railroad Prototype Modelers Meet later this month. While many things happen at an RPM, these events thrive on two things: presentations and displays. I’ve been working on both. I was pleased that I will be able to get two layers of equipment into the Pelican – in fact, the pluck-foam provided comes in two pieces, like a layer cake, which made it easy for me to create slots for equipment. With secure transport figured out, I will be able to display eight models at the NERPM. And I’m ready for other meets or gatherings, too! This week, I also put the finishing touches on a slide deck for a clinic about being a prototype modeller in 1:64. I was late to register for the NERPM (entirely my fault), and at this time the clinic schedule is fully booked. But the organizers asked if I could bring along a presentation in case they have a last-minute cancellation. What’s more, I now have a presentation in the can, ready for other conventions, so the effort hasn’t been wasted. 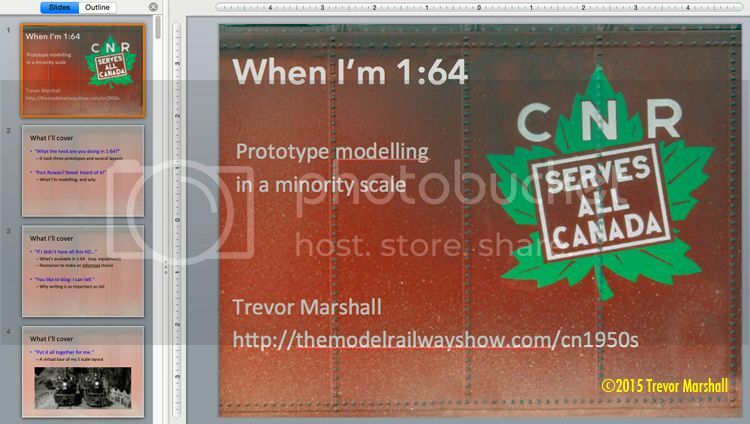 As the title slide suggests, I’ve drafted a clinic about the opportunities and challenges of modelling a specific prototype in 1:64 – using my layout as an example. I’ll cover why I ended up in S scale, why I picked the Port Rowan branch and things to research and ponder to determine whether S is a viable scale in which to work. I’ll also explain why I write this blog and now consider it as essential to building a layout as having a good supply of ties and rail. And I’ll wrap up with a quick tour of the line – because everybody likes pretty pictures. This entry was posted in Beyond Port Rowan in S, eat drink and be merry, equipment by Trevor. Bookmark the permalink. 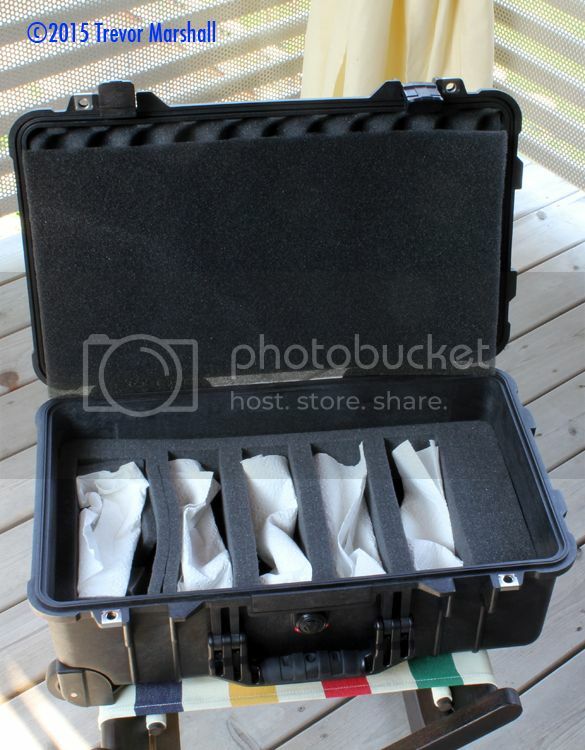 Pelican cases are often available on Craig’s List at lower prices, but they may well be comparatively rough cosmetically. But it’s nice to know that if you had to parachute into the conference, your equipment would be fine! And… if I miss the target and end up in the hotel fountain, the case will float. On a more serious note, I’m sure some readers are questioning my sanity for spending $200 on a box with foam in it. That is, however, a fraction of the cost of the models it will carry. When one is buying brass locomotives or mixed media kits, it doesn’t take many models to become a serious investment – especially in a minority scale like 1:64. Then there’s the enhancements – like the compensated trucks on the passenger cars. 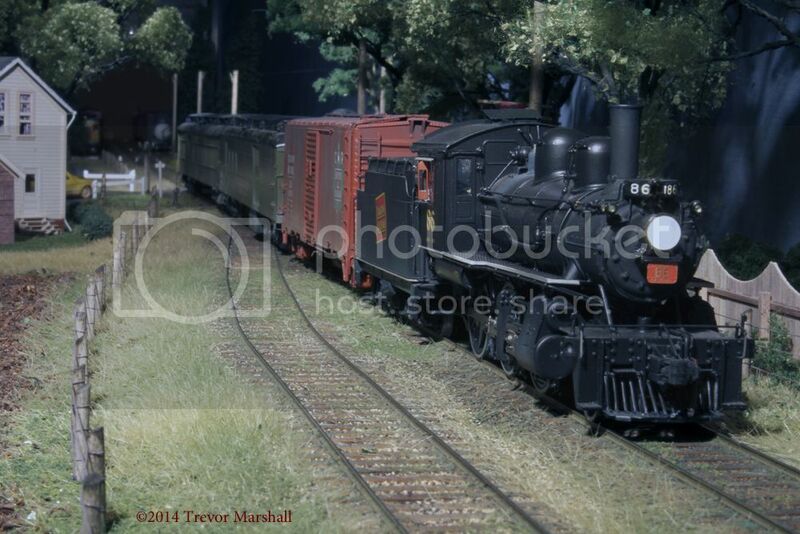 Even if I wanted another 2-6-0 or CNR combine, it would be almost impossible to get one. They were made in small batches, and those who have them tend to keep them. The “cost” also does not include factors such as the time and effort required to repair a damaged model (or to build a replacement). It doesn’t factor in the “opportunity cost” – the time required to rebuild a damaged model that I would rather spend building something new. And it doesn’t account for the psychological effects of opening a transport box and discovering that something into which I put so much time has been destroyed. Add together those factors, and $200 seems like a real bargain for a case that I know will do the job and keep my locomotives and rolling stock damage free! If they paid attention, they will be at least aware of S, as I display a few models at this meet almost every year. We should try to display near each other! See you there. Neat, an opportunity to see some of your equipment ‘in-the-iron’ so to speak. looking forward to that. Looking forward to meeting you, Bill! Do the pelicans bite or try to fly away when you’re putting them in the case? Looking forward to seeing you there Trevor! They try to eat the case, Marty. And likewise – it’ll be fun! 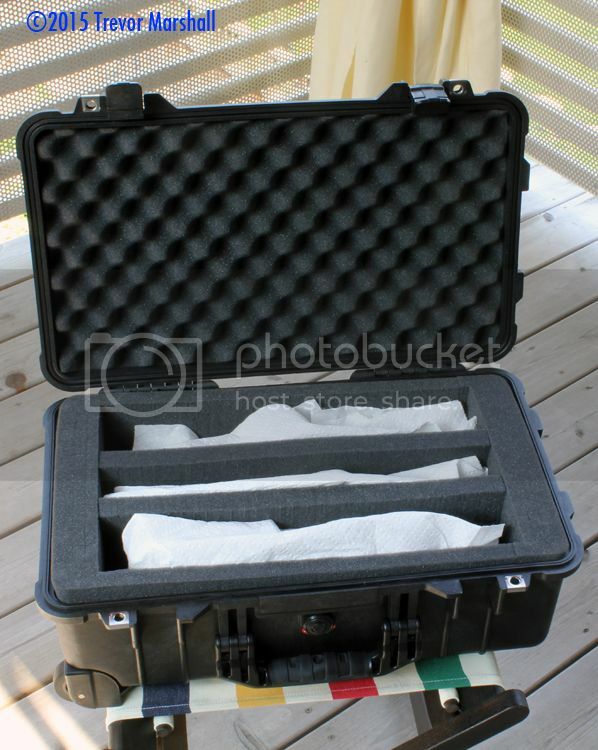 Ah, the old Pelican case. Has saved my model RR and Professional life more times than I care to admit. (Oh, the stories…). Spending $$$ on serious transportation cases for precious models and show layouts is _NEVER_ a waste!!! I would like to be there when it goes through the xray machine at the airport :). Thanks for sharing your thoughts on this topic that should be discussed more. We all have equipment that needs to be safely stored and transported.